Teeth-In-An-Hour is an option for edentulous patients. This procedure enables you to leave the dentist's office with fully functioning new teeth after just one treatment. 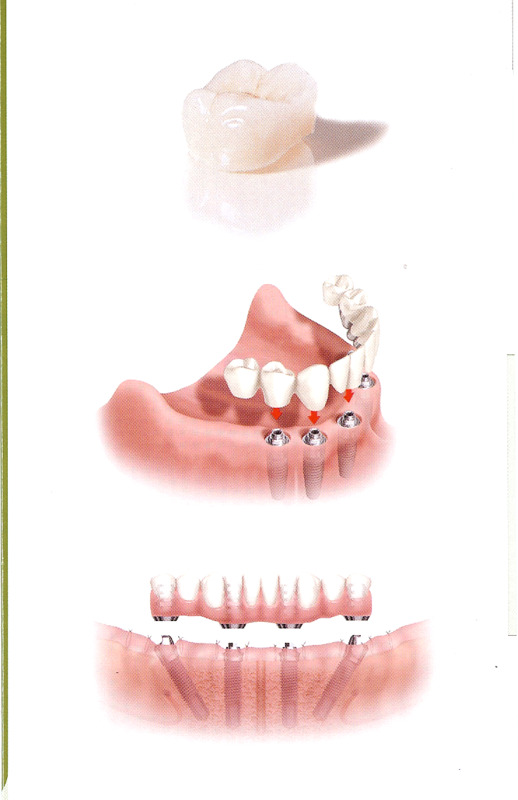 It allows the replacement of missing teeth with permanent dental implants. With conventional treatment you have to wait for your implants to heal before the teeth are placed, which can take several months. Teeth-in-an-Hour procedure gives you your new teeth immediately. You will be able to eat and function immediately or soon after. A patient will need precise planning, digital images (CT Scan) and models in order to confirm that you are a candidate for this procedure.